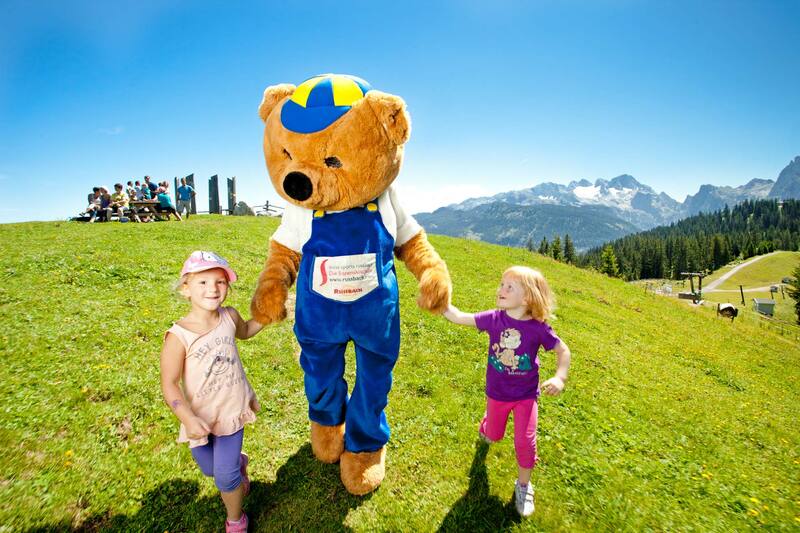 Bruno Bear lives in his Mountain World at the Hornspitz summit in Russbach. Most of his time he is hiking through the forest and taking care oft he Alps-gardens and animals like horses, cows and birds. His best friend Emma is an giant ant and is waiting for you at Brunos Mountain World too. Bruno enjoys visitors and especially kids are his best friends. You can meet him every day somewhere in his mountain world. So, if you see him get in touch. Tired legs or not good on foot? No problem: The bright yellow Ant Express runs on the mountain and will take you to the rustic Edtalm hut in 20 minutes or back to the Hornbahn lower terminus*. 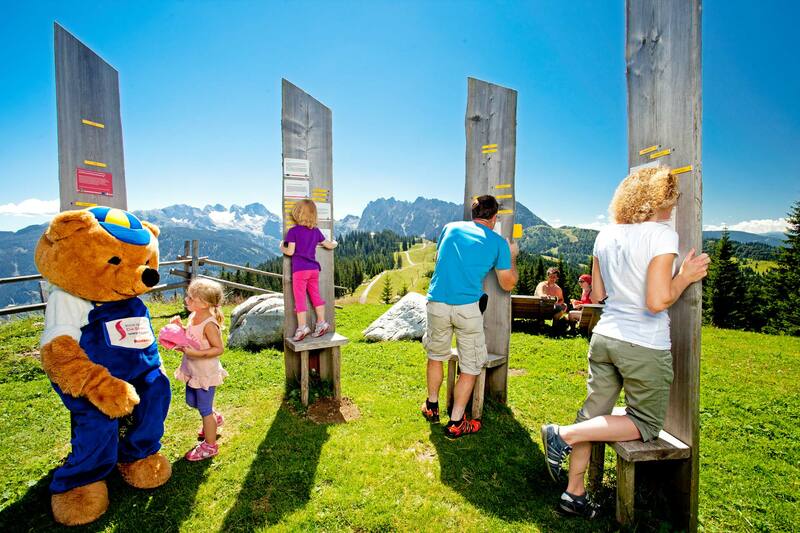 On the way you can watch alpine cattle and horses, guess the names of the peaks and enjoy the breathtaking panorama from Dachstein, Gosaukamm ridge and all the way to the Tennen Mountains in Salzburg County. At the Edtalm hut, a rustic bear snack awaits! 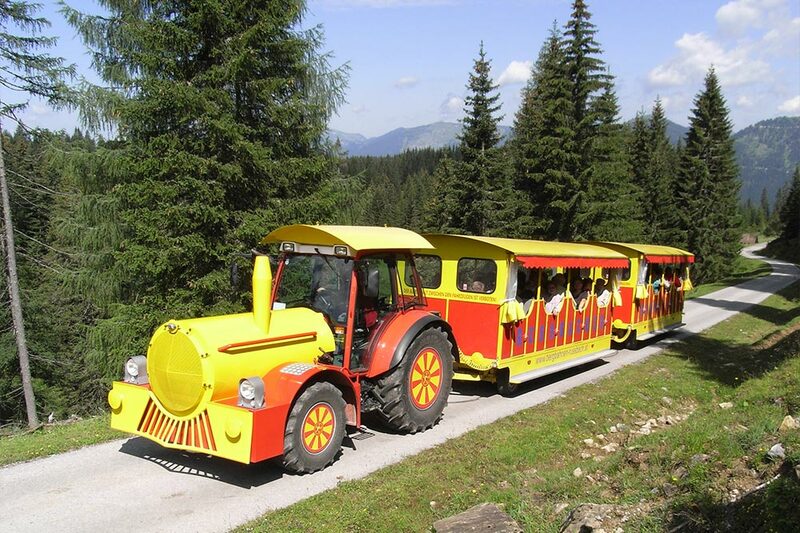 *Travelling times are adjusted to those of the Hornbahn Russbach.